Galactic Messenger and New World Minister serving the delivery of souls back into the Eternal Family by helping build Spirit God’s Heaven here on Earth, where we live in absolute freedom, true security and real abundance for all. It’s been said that the World People arise like a phoenix, “from the ashes of tribulation” during this time of the end of time as we know it. And, indeed, we are all awakening now as the last great karmic cleansing plays itself out on the world stage. The “tribulations” are merely an artifice, playing out as a perceived “armageddon” scenario – or a “last war for the world” as prophesied by Daniel and Ezekiel. Souls are only drawn into the drama unfolding based on their lingering karmic attachments to the illusion of separation that are still carried as dross in their auras. With the help of the Elohim – the Galactic Adepts guiding this planetary redemption project – we can completely transmute our karma now. The Comforter Spirit of Truth, promised by Christ Yeshua, contacts each of us now from within as the aura of this planet is totally cleansed of mortal-minded thinking. And every soul has a chance to “write their name in the book of life” – recording their righteous words and deeds in the aura of our planet – to be born again of God’s Spirit. Let us build the Kingdom of Heaven on earth thru the ‘right-use-ness’ of Spirit-God’s energies imparted thru us. None of the mortal minded, buying and selling and wheeling and dealing ways of usury and coveting can stay on in the New World. It’s time to align our sharing with the natural economics of free giving and receiving (the trees breath us breath the trees and so on), without secular ownership of the Creation’s energies and materials. As my father once reminded me: All things are working together for the highest good for those who serve the Universe, it’s Nature and all God’s children. And, like him, we shall all soar on angelic wings of 12th-density, zero-point energy in these times, as we co-create the ‘Now World’ of absolute freedom, true security, and eternal abundance for all. Enjoy exploring the messages, channelings and services of this ministry. And please do feel free to contact me with your comments and inquiries! Hi Gabriel…just found your horn! What a great page, thanks so much. Thanks so much for the prayers/affirmations Elo. I had a deep Sawe’en reattuning to ETI with the mountain. Would love to share more on Zacharia Sitchen with you and see your bright face and smile. Blessings, Gabriel. to fill a trash barrel, for the comet Kahotec Festival in SF, and I looked out Chris Plant’s window one day, on the 3rd floor, over the bay and Mt Tam, and as he explained it to me, I saw a new age as possible and happening, . . . as I still do. So grateful for the year I was blessed to be with so many beautiful souls, converging in Berkeley in the OWF. I have known ever since then, that the mustard seed of love and service that was planted in me, is a part of the destiny I can and do pass on to many others,. . . as the song goes, “We can all change the World”. Glad you are carrying forth the distinct and valuable vision that Allen Michael and OWF contributes to the mandala of transformation. Yes, the mustard seed! I would love to hear more about how you share this others. Thank you brother and stay tuned for some new posts here soon. 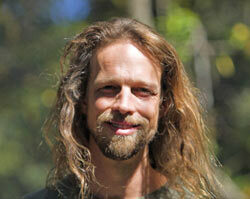 lsd, G PS~ Have you seen Chris Plant’s blog?